“Have you ever heard a voice inside your head telling you “you’re not good enough”, “not smart enough”, or just “not enough”? The bad news is that we all have that nasty voice - our Inner Critic - but the good news is that we can choose how much impact it has in our lives. 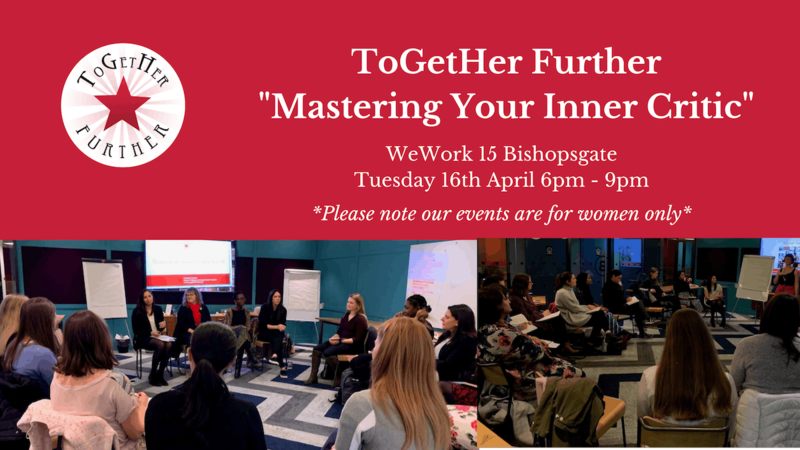 Places are limited to protect the intimacy of the space, so don't delay, book your place today and join us to Master Your Inner Critic. Alexandra is a Cognitive Therapist supporting women with feelings of low self esteem, insecurities and a lack of self worth to develop confidence, connection and authentic self acceptance. Through her warm and non judgemental approach comprising of techniques from CBT, Mindful Meditation, Hypnotherapy, ACT and Life Coaching, Alexandra will guide you to a place within where you can release the Inner Critic that has been holding you back and encourage your true essence to shine. Find out more about Alexandra at https://www.aeglemind.co.uk/. 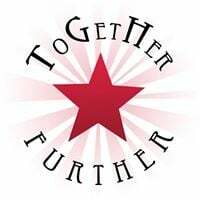 ToGetHer Further events are not typical "networking" events - we create space for women to come together and connect without fear of judgement or the pressures of perfectionism, which allows us to experience a deeper connection, and get further together. We limit spaces at our events so we can sit in a circle, and see each other clearly, which means there is nowhere for you to hide at the back. Come join us when you're ready for a more powerful introspective, reflective and transformative experience, so you can change your life and your career on a more meaningful level. Click here to read more about our past events. Please note our events are for women only - no refunds are issued to men who purchase tickets in error.